Fantastic 8 room, 3 bedroom, 2.5 bath Colonial home! You CAN have it all! 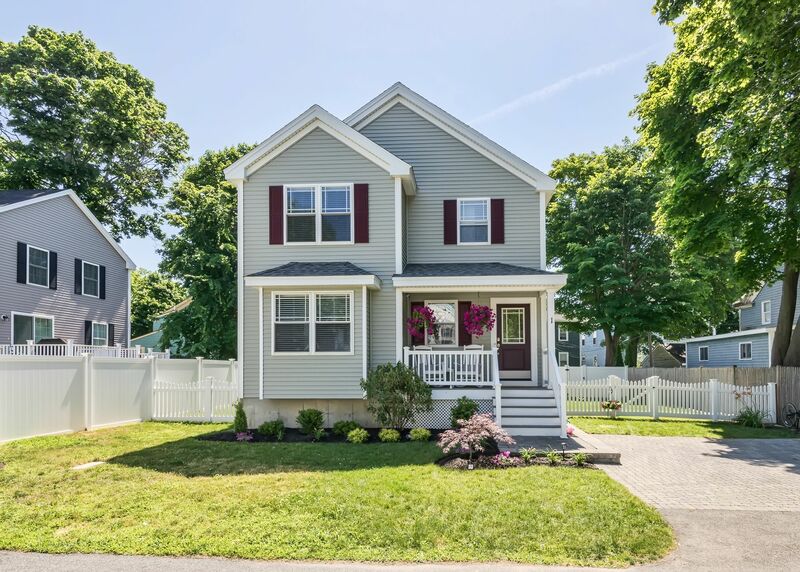 Located on Bridge Street Neck this 8 room, 3 bedroom, 2.5 bath Colonial home, built in 2015 is a 5 1/2 Star energy efficient, smart home. The spacious sunlit living room with hardwood floors, crown molding and gas fireplace is a great space for entertaining or just relaxing. The granite and stainless kitchen has lots of cabinet space and opens to the dining room which also offers hardwood floors and crown molding. From the dining room there is access to a large deck that overlooks the yard. The second level has a huge master bedroom with master bath and fantastic closet space.There are also two guest bedrooms and an additional full bath. The lower level offers two family spaces, one is currently the children's play room while the second is a more sophisticated media room. All of this just a short distance from downtown Salem, Collins Cove, Salem Willows and the commuter rail to Boston. Also convenient to the Beverly rail station and Rte 62 to Rte 128 and Rte 95.